Whether you need a bespoke engagement ring, a piece of jewellery remodelled or a new watch battery, we’re here to ensure you go away happy. Unlike most jewellery shops, we have an on-site workshop which allows us to quickly turn around the majority of jewellery repairs and commissions, and in some cases, even provide a same day service. And as our on-site goldsmith has over 30 years’ practical experience, no matter how simple or complicated your jewellery request, he’ll be able to work his magic. There is nothing more special than a bespoke piece of jewellery that has been designed by you. Whether you want an engagement ring, wedding band or statement necklace, no matter what your budget, we can help you create something that is truly special. Your taste in jewellery. If you have existing pieces that you love, bring them along. Also have a look online at different designs and identity your favourites. This is a great starting point to creating your own bespoke piece. Preferred metal colour: Our on-site goldsmith, specialises in working with gold, silver and platinum. You simply need to select the one that suits your taste and budget. Stone choices: if you would like to include stones in your piece, we can talk through which options would work best. Dimensions: to ensure you are 100% happy with the piece, we’ll make sure the dimensions are right for you, whether this is ring size, the length of a chain or size of a pendant. Your budget and deadline: we cater for all budgets and will always work to meet your preferred deadline. If you have any questions about creating your own bespoke piece of jewellery, please get in touch by calling : 01494 434178 or clicking here. If you want to breathe new life into an existing piece of jewellery, our remodelling service is the perfect solution. Using your existing jewellery as inspiration, we can reuse metals and stones to create something completely new. Our designers will talk through your ideas, find out your likes and dislikes and make recommendations based on your budget and expectations. Our aim is simply to make sure the finished piece makes you smile again. Chain repairs: we offer an extensive chain repair service from mending broken catches and unknotting tangled chains to the full restoration of a sentimental piece of jewellery. Stone replacement: If a stone has fallen out or been damaged, we will replace it with a stone which matches as closely as possible. Pearl and bead restringing: we restring all types of necklaces and bracelets, with or without knots, to your required length. Ring re-sizing: whether you want a ring to be larger or smaller, we will do a seamless resize. Jewellery cleaning: over time jewellery can lose its sparkle. Our jewellery cleaning service can bring it back to its former glory and includes: cleaning to remove dirt; buffing to remove scratches and polishing to bring back the item’s sparkle. We also undertake more unusual jobs, so if you need repairs to silverware or to a special pair of shoes or handbag, which has metal clasps or fittings, please get in touch. We are happy to provide a replacement value certificate for insurance purposes for any item of jewellery purchased from us over the value of £1000. If you have other jewellery that you would like valued whether it’s for insurance or probate, we can also help. Please get in touch to learn more about this service. Whether you would like an inscription added to a piece of jewellery or a trophy engraved, we will make sure it’s done quickly and to the highest standard. • Repairs to metal bracelets. If you have a Rolex or Cartier watch, we will get the work done by certified Rolex and Cartier agents, quicker and cheaper than you might find elsewhere. No jewellery commission or repair is too big or too small. And if you’ve been told it just can’t be done, please get in touch as the chances are, we will be able to help. If you are in Amersham Old Town, Buckinghamshire, please feel free to pop in. We would love to discuss your needs in person. 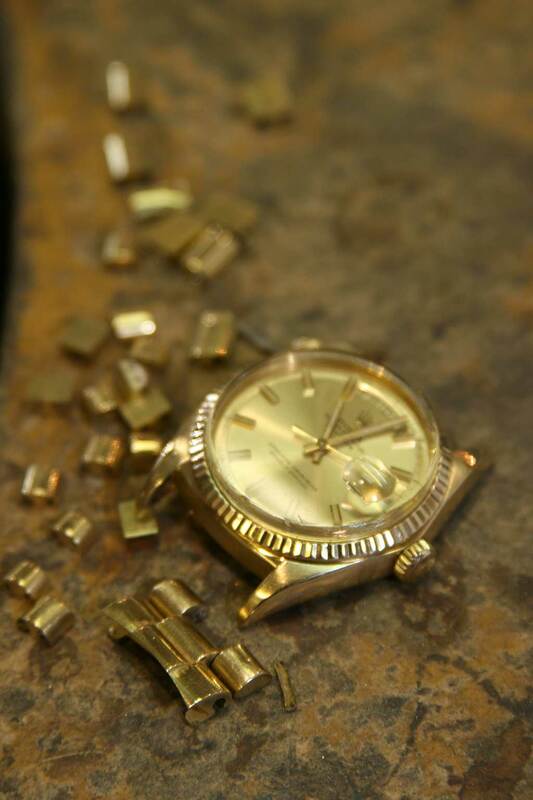 If you have any questions about jewellery repairs, a bespoke commission, getting a valuation or have a watch repaired please get in touch by calling: 01494 434178 or clicking here.